Because of its association with the sun, Litha is also a time in many magical belief systems to celebrate with fire. And really, the bigger the fire, the better! 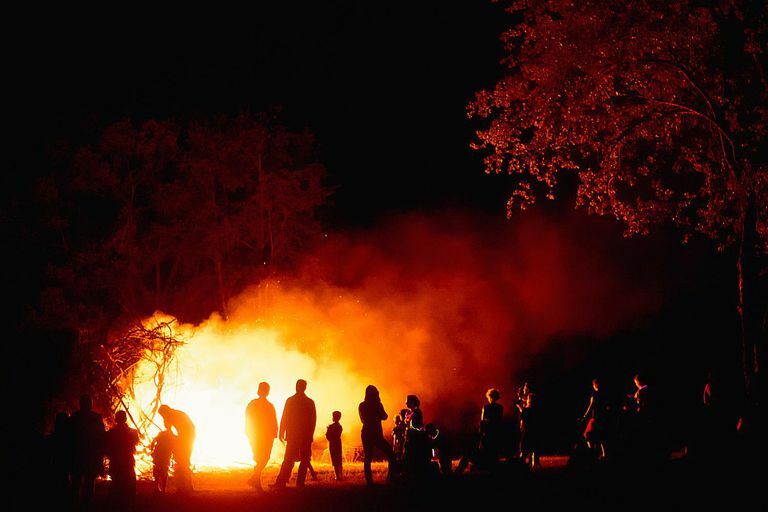 A simple bonfire ritual is a great way to mark the sunny, fiery theme of the season, because fire is so intrinsically tied to the sun itself. Please be sure to observe proper fire safety habits, and to avoid breaking and local regulations regarding outdoor flames. If your tradition requires you to cast a circle, consecrate a space, or call the quarters, now is the time to do so. This ritual is a great one to perform outside, so if you have the opportunity to do this without scaring the neighbors, take advantage of it. Begin this ritual by preparing the wood for a fire, without lighting it yet. While the ideal situation would have you setting a huge bonfire alight, realistically not everyone can do that. If you're limited, use a table top brazier or fire-safe pot, and light your fire there instead. If you wish to make an offering to the gods, now is the time to do it. For this sample, we're including the use of a triple goddess in the invocation, but this is where you should substitute the names of the deities of your personal tradition.